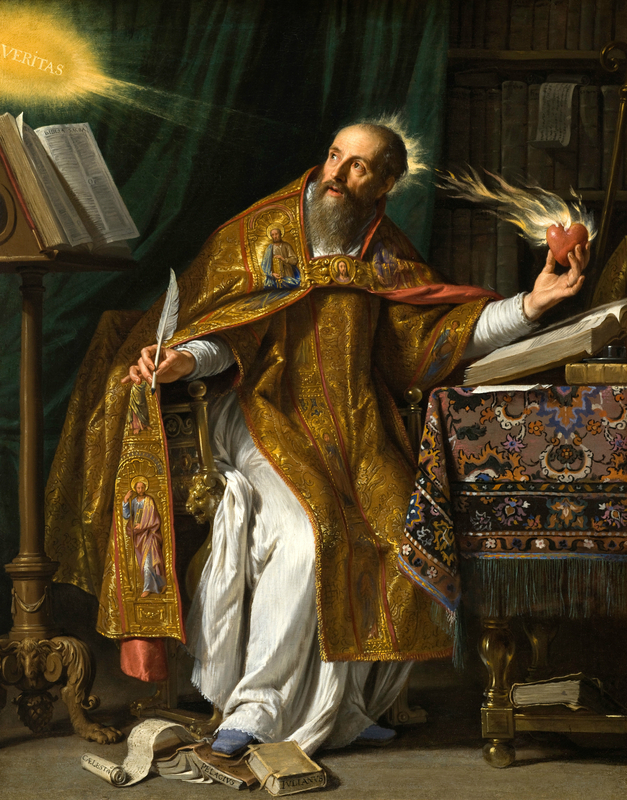 St Augustine, by Philippe de Champaigne. You probably disagree with him. Several months ago, we were visiting with a friend who had recently started reading through a book of daily readings from the Early Church Fathers with her husband. (I assume it was Nick Needham’s.) She talked about how each month was taken from a different Church Father, and how she and her husband were enjoying it — not that they always agreed with the readings. I hadn’t thought about it, but it soon came into my mind that here is a reason to read the Fathers — my reason for this reason will come soon. This idea came to me again yesterday when I finished reading said friend’s draft of a novelisation of the life of St John Chrysostom (he does have one of the more exciting patristic biographies). At the end there was an Author’s Note talking about how some of the practices and beliefs of Christians in John’s day are at variance with evangelicals, but we can learn so much from him and his commitment to Jesus. First, the Fathers, and not merely ‘ancient Christians’, are the Fathers (and Mothers, let’s toss in Egeria and Perpetua!) for a reason. Their arguments about many of the core doctrines of all Christians — Roman Catholic, Eastern Orthodox, Oriental Orthodox, Protestant — are the foundation of everything that follows after. Their modes of exegesis were the norm for hundreds and hundreds of years, in many ways until the 1800s. They were good at what they did, so they are worth reading. Second, because of the above, we could also say that they come ‘approved’ — that is, they are not off their rockers, they are not meandering through the forest. We are talking about holy men who have committed themselves to Christ and His Gospel, often, like Chrysostom, suffering for it. Even if we disagree with them, we aren’t having to slog through some of the less savoury corners of theology out there. Third, because of the first two, disagreeing with them can help us in a few ways. It should hopefully humble us as a reminder that faithful Christians need not have the same mind about some things. And then, thus humbled, I hope any of us would think deeply about how important the issue at stake is. And then, thus further humbled, if we think it is not necessarily very important, perhaps we could use this introspection to wonder if we should change our mind. But if we don’t change our mind, I do hope that charitable reading of Church Fathers with whom we disagree will make us understand why we believe what and how we believe as well as help increase humility in our hearts. There are readers other than Needham’s: we have been going through Spidlik’s Drinking from the Hidden Fountain: A Patristic Breviary at matins for the last year or so. Quite decent.